To strangers who asked if we were mother and daughter I replied, “We are friends”. We are contemporaries, members of a mutual admiration society. I introduced myself to Katarina after the 1/19/12 Bogart Salon Confronting Bushwick panel to thank her for the Bushwick Daily coverage of my exhibit Here I Am: Bushwick In The 1980s at Soho Photo Gallery. Effervescent Katarina was enthusiastic when I told her about my plans to walk every street in Bushwick for my series in progress Walking Bushwick: Now and Then. 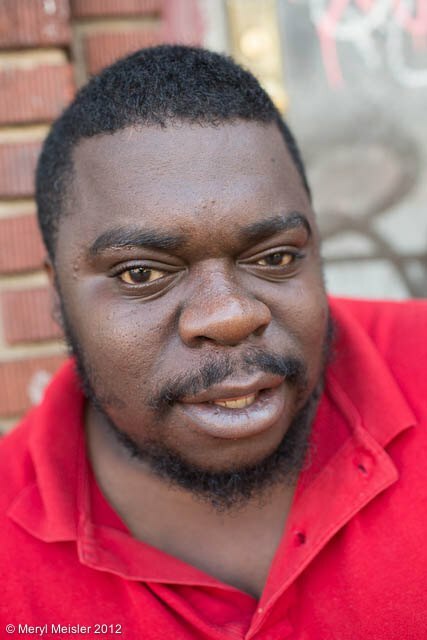 I suggested we go photographing in Bushwick together sometime, and we did this summer. What a duo. 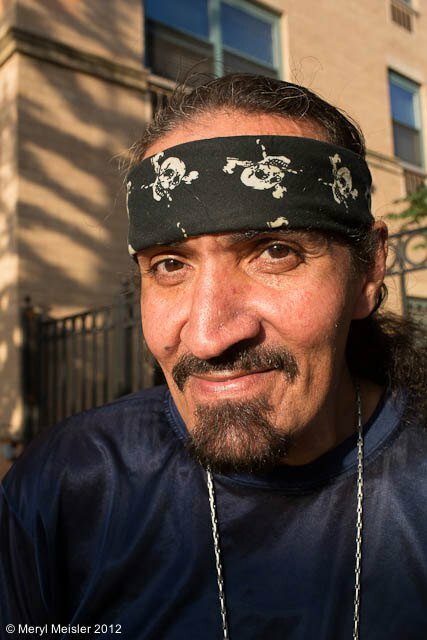 One, a life long New Yorker, came to Bushwick in 1981 to teach art. Constantly taking photos throughout a 31-year public school teaching career (14 in Bushwick) that were stored away. Decades later sifts through to discover diamonds in the rough, polishes each facet carefully to begin exhibiting the gems. The other came from Eastern Europe to NY a few years ago to study (and then abandon) law and two years ago decides to photograph and write about Bushwick and put it out there on the web on a daily basis. 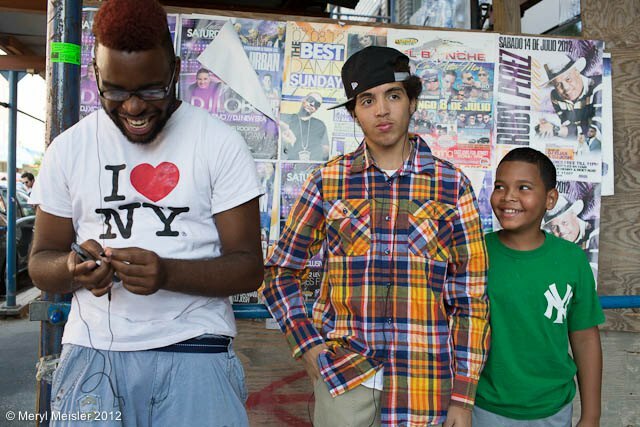 What we share is a fascination with NYC, Bushwick in particular, everyday people and events. I sense we share an awe for the role of photography in art and society. 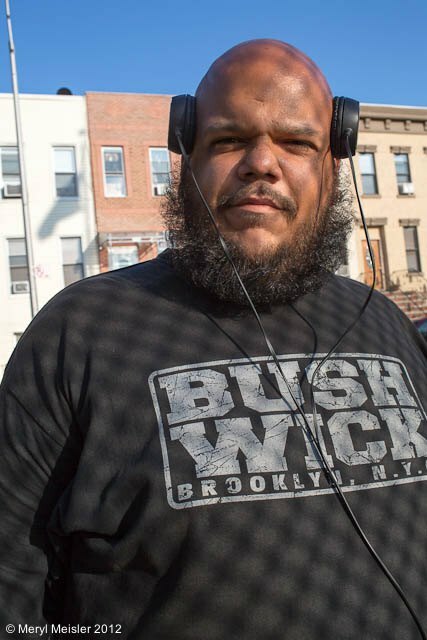 What do two people walking and photographing Bushwick chat about? A little shop talk: I ask her advice about using my new camera on the manual setting. She inquires about my philosophy/ways of street photography- asking to take photos versus capturing the action anonymously. What are the answers to these burning questions on a beautiful summer day? Katarina uses the manual setting or the aperture priority mode. I usually ask permission before photographing. Both of us use fixed lenses (not zoom), she a 50mm (normal lens) and I a 35mm (slightly wide). Enough tech talk- on to ice cream. I suggest gelato at Circos and she suggests we go to Maria Hernandez Park to eat it up. 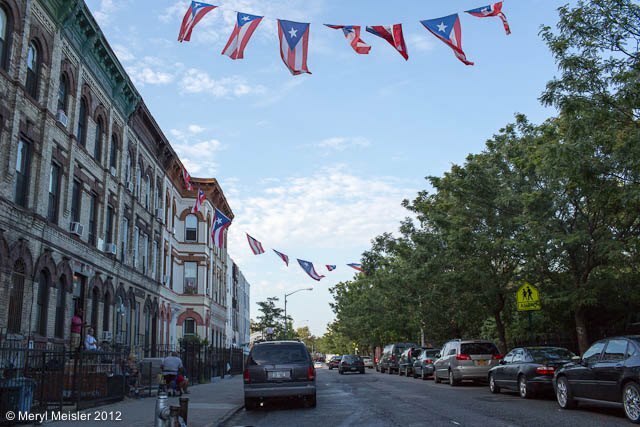 The sole defined destination was to head up to Palmetto Street where I used to teach, and back again to Wilson at the end of the day to get her bike locked up in front of Storefront Bushwick. Our eyes and feet led us wayfaring through the streets. Some photographers think going shooting with another is awkward or competitive- getting in each other’s way or “ruining/stealing the shot”. Artists, like children, often struggle with sharing. 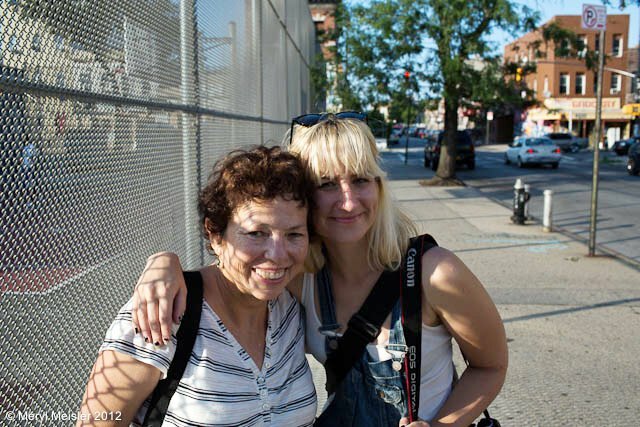 Recently I led a photo walking tour of Bushwick with Professional Women Photographers. On both occasions photographing together was pure joy, a work out for the feet and camaraderie that enhanced the journey. I am intrigued by how multiple people can photograph the same subject at the same time and see and record it differently. The mind, eye, soul, perception synapses are mysterious indeed! We are all on this earth together. Who wants to go walking with me next? 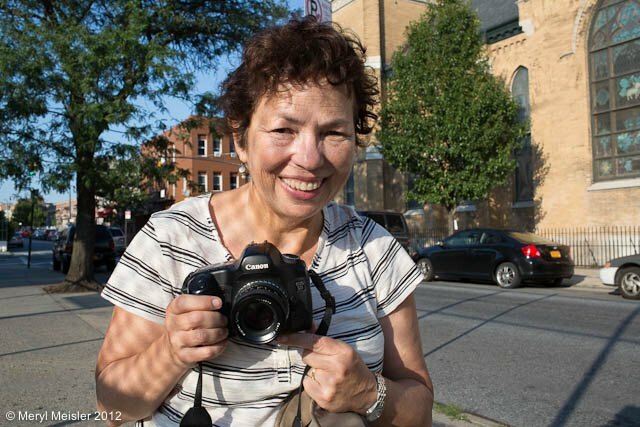 Now you can meet and join legendary photographer Meryl Meisler and experience the magic yourself during Bushwick Halloween Photo Walk. Organized by Bushiwck Daily and Bushwick Community Darkroom, we are meeting at Mama Joy's on Sunday, October 28, between 2-3pm. 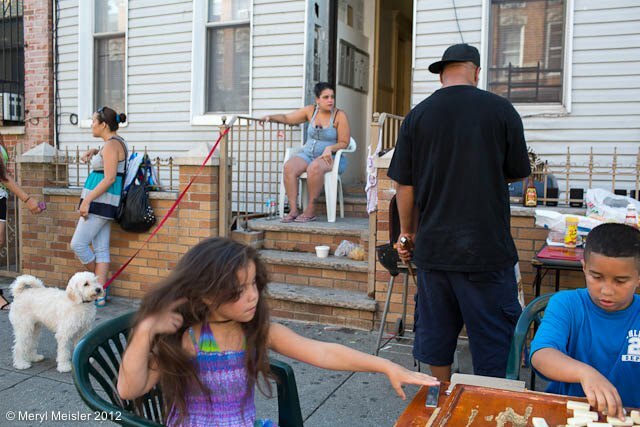 We will proceed to photograph Bushwick street life and to enjoy this beautiful time of the year. Don't hesitate and join us! !